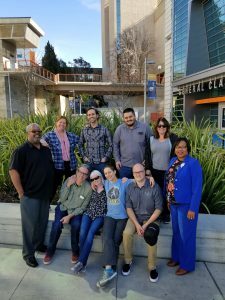 The inaugural LAPLI cohort representing seven California Community Colleges: (from left) Tim, Devon, Kyle, Nick, Mary, Crystal, Eddie, Danny, Jen, and Rebecca. Participants shared how to zoom in / zoom out to maintain multiple perspectives to drive their learning assistance programs (e.g., peer tutoring, supplemental instruction) forward as a central driver for student success. There was also focus on developing a theory of change, a supporting logic model, and discussing how to apply both appreciate inquiry and concepts of value creation to improve learning assistance and its role on campus. Participants also took steps toward selecting topics to create a common post-secondary tutor training curriculum to be shared statewide and beyond. 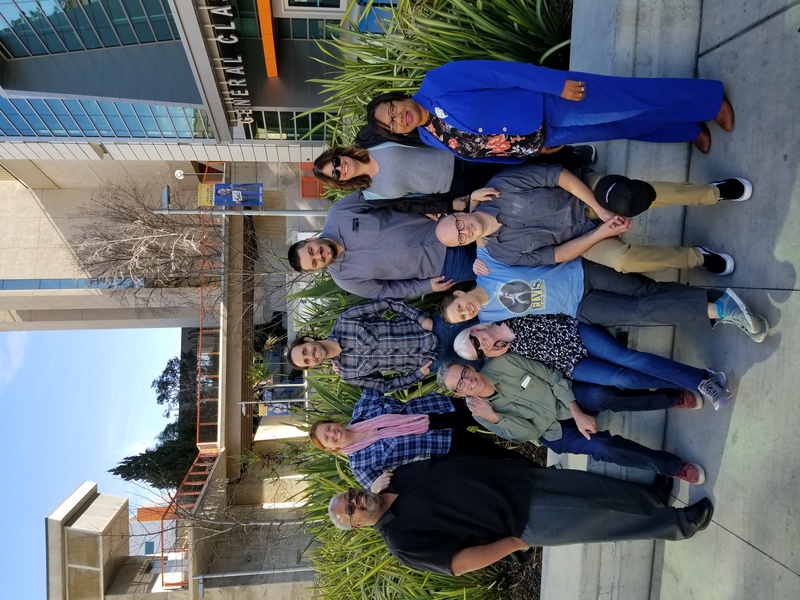 Participants enjoyed working with fellow learning assistance coordinators/peers and are looking forward to opportunities to collaborate with the LAP coordinators to enhance Tutor Expo, regional events, and LAP’s presence at the annual Strengthening Student Success Conference. For more information about LAP and how to get involved, please email Danny (danny@3csn.org), Mark (mark@3csn.org), or Crystal (crystal@3csn.org).